We must call on UN members to stand by the US and Israel against a resolution demanding Trump repeal his recognition of Jerusalem as capital of the Jewish state. Following Monday’s US veto of a United Nations Security Council (UNSC) resolution calling for the withdrawal of President Donald Trump’s recognition of Jerusalem as Israel’s capital, the Palestinians have initiated a vote on the same measure to be taken at the UN General Assembly on Thursday. Since the Palestinian Authority (PA) is a non-member observer state at the world body rather than a full UN member, a bloc of countries led by Turkey and Bolivia will submit the resolution, drafted by Egypt, on behalf of the Palestinians. The measure is expected to pass due to the Arab and Muslim majority in the General Assembly. The UN “can vote again and again – for a hundred more times. 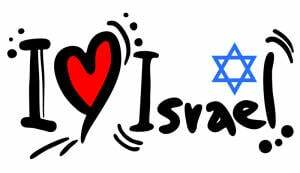 It won’t change the simple fact that Jerusalem is, has been and always will be the capital of Israel,” Danon stated. US Ambassador Nikki Haley warned member states not to support the measure. “At the UN we’re always asked to do more and give more. So, when we make a decision, at the will of the American people, about where to locate OUR embassy, we don’t expect those we’ve helped to target us,” Haley tweeted. “On Thursday there’ll be a vote criticizing our choice. The US will be taking names,” Haley asserted. While the vote at the General Assembly has no real implications, it is nonetheless symbolic and therefore important that as many state members as possible vote against it and side with the truth. We must ensure that our countries oppose the resolution and stand with the US, which has bravely stood by Israel. 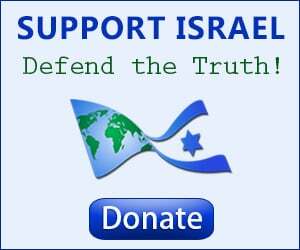 Contact your government and urge them to stand with the US and Israel and on the right side of history! Urge these countries to Vote Against UN’s Anti-US Resolution !